Slattery Auctions is an auction company located Newscastle, NSW, Australia. 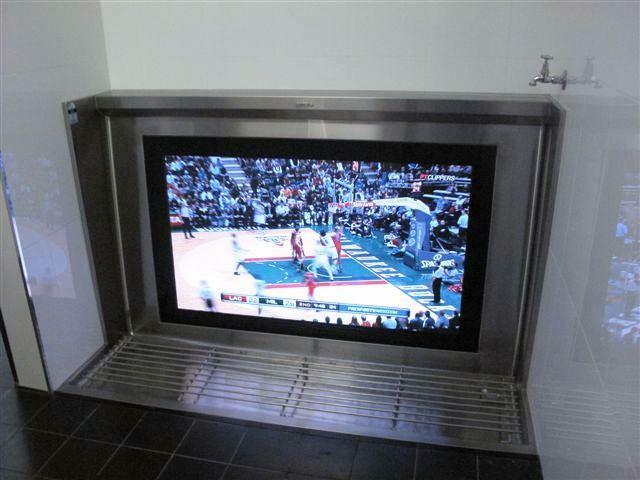 Their state-of-the-art urinal manufactured by Britex Stainless Steel features a built-in television. These pictures were sent in by LJ at Britex Stainless Steel. He writes: "A while back I submitted some photos of a stainless steel urinal that Britex Stainless Steel manufactured for Middle Brighton Baths that included a TV in the back wall - now #5 on your top 10! "Well since then, Britex Stainless Steel has gone on to make a few more similar urinals. 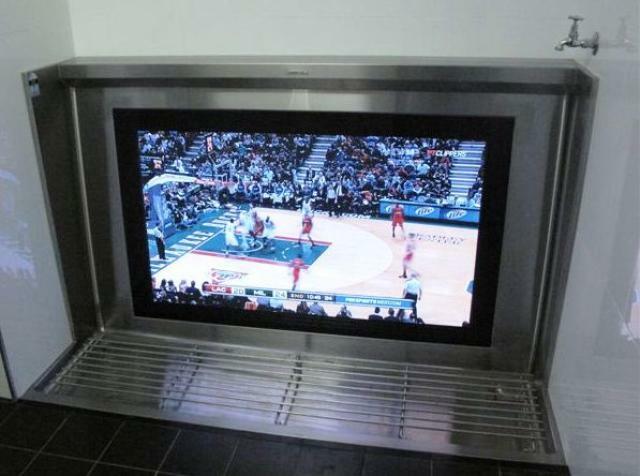 Attached is a picture of a Britex ‘Sanistep’ stainless steel urinal with a TV incorporated into the back wall. This is installed in the bathroom of Slattery Auctions in Newcastle, NSW, Australia. The urinal itself incorporates a stand on grate that provides excellent hygiene for male urinals and a water ‘sparge’ along the top that flushes the urinal automatically with the aide of a detector after being used. Neat huh?"